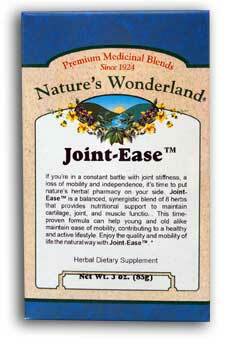 Joint Ease™ Tea, 3 oz (Nature's Wonderland) - Penn Herb Co. Ltd.
Pour 8 oz of freshly boiled water over 1 heaping teaspoon of tea. Cover and allow to steep 4-7 minutes, then strain. Drink 2-4 cups daily. SEE PRODUCT LABEL FOR CAUTIONS.